LayArm Air-Spring LCA - 82-03 S10 Chevy and GMC Sonoma. 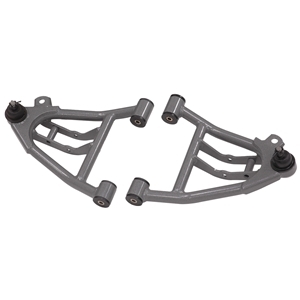 Includes pair of air spring lower control arms with balljoints. Grey hammertone finish. For use with VariShock air-spring or coil-over shocks with 1/2" mounting eye.